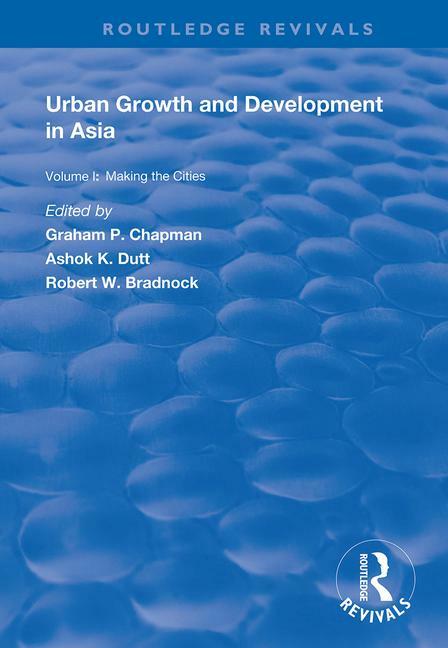 First published in 1999, this volume begins with a panoramic survey by Nigel Harris of the drama of Asian Urbanization, based on the inaugural plenary lecture he gave to the 5th Asian Urbanization Conference held in London. In the following chapters many experts and practitioners from different countries and cities provide a stimulating portrayal of the processes and outcomes of one of the greatest shifts of population (not just absolutely but proportionately as well) ever to have occurred in human history. Asia includes more than half the world’s population, but, apart from the Tiger economies and Japan, it is still overwhelmingly rural. In the last decade or so urbanization has really begun to take off and the shift of population to the cities represents one of the greatest population movements the planet has ever seen. By 2030 more than 50% of Asia’s population will be urban and between now and then more than 500 million people in Asia will have moved - looking for jobs, housing, food and water. They will be both part of a problem and most of the solution - building around them the cities they will live in. A Case of Urban Competitiveness in India?